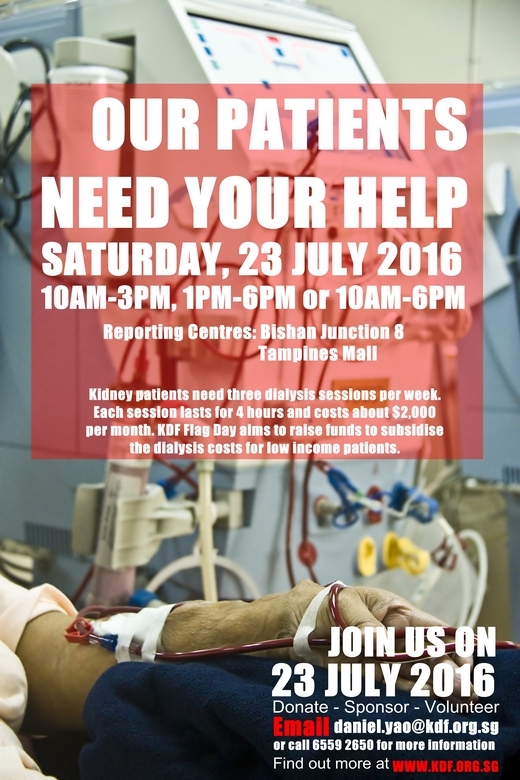 Kidney Dialysis Foundation (KDF) is a local non-profit organisation that provides subsidised dialysis treatment for needy kidney patients. It will be organising its annual Flag Day on 23rd July 2016, Saturday. This year, KDF aims to raise $20,000 to provide subsidies for the needy patients. Volunteers are required to help out at the event. Interested parties can email Daniel.yao@kdf.org.sg or call 6559 2650.